Get Ready to Rock ‘n’ Roll during Elvis Week! Art Brand Studios newest artist, Blend Cota, will be joining in all the fun for Elvis Week. Blend’s collection is inspired by the works of Picasso and other abstractionists that have mastered the best way to express their emotions is through their color. With seven titles in this initial launch Blend’s artwork spans a variety of potently portrayed imagery. The titles include: King of Rock ’n’ Roll, Flamenco Dancer, Vive La Liberte, Eiffel Tower, Daddy’s Lil Monster, The Dark Knight, and The Joker and Harley Quinn. Visitors to Graceland during Elvis Week will be able to stop by and view Blend’s new piece of art along with Kinkadian favorites from 12pm to 3pm on August 12th and 13th. In addition, Blend Cota himself will be there on August 15th and 16th from 12pm to 3pm to talk with fans and sign any art purchased at Graceland. 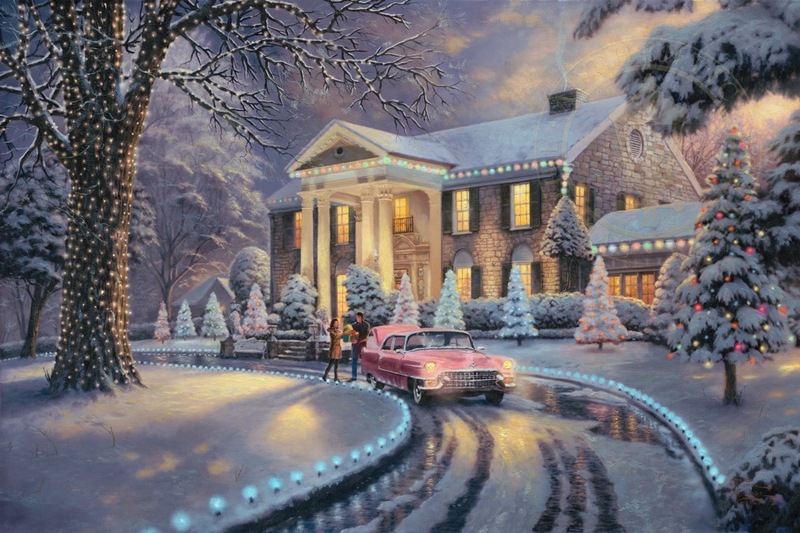 Thomas Kinkade Studios will also be present and showing two of its favorite Elvis themed pieces; Graceland® and Graceland® Christmas. Come see the unveiling of the new commemorative painting, The King of Rock ‘n’ Roll by Blend Cota along with classic artwork, Graceland 50th Anniversary and Graceland Christmas by renowned artist Thomas Kinkade. 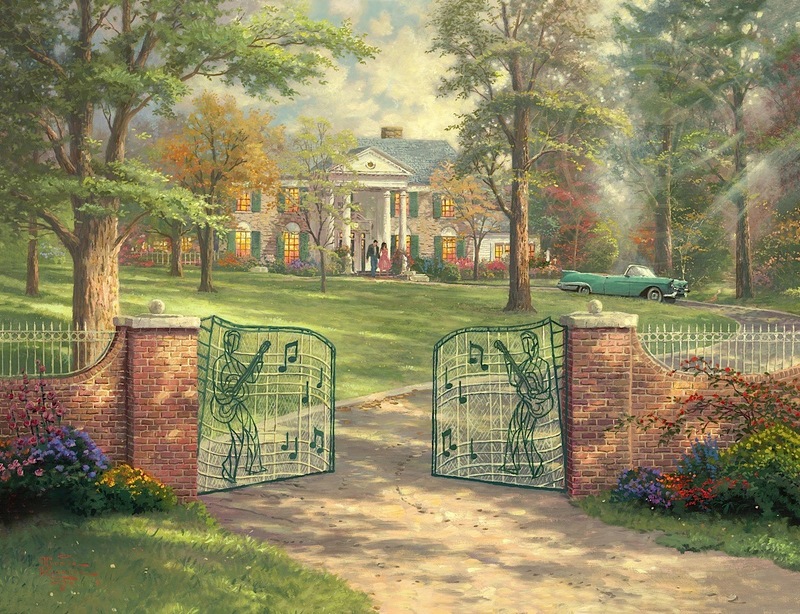 See the new commemorative painting, The King of Rock ‘n’ Roll by Blend Cota along with classic artwork, Graceland 50th Anniversary and Graceland Christmas by renowned artist Thomas Kinkade. 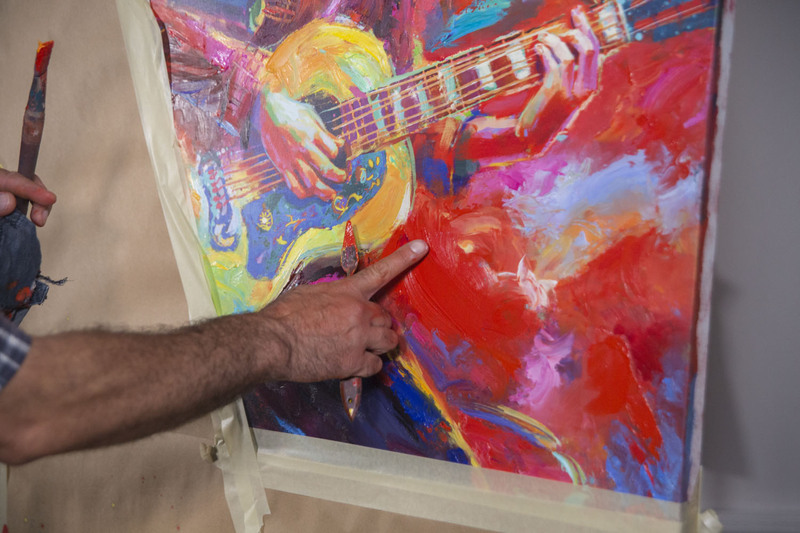 Meet artist Blend Cota and see his brand new commemorative painting, The King of Rock ‘n’ Roll. Enter to win a limited edition canvas giclée signed by the artist. Blend Cota and Thomas Kinkade Studios Limited Edition Canvas Prints are available exclusively through Art Brand Studios Authorized Galleries. If you would like more information, please call Art Brand Studios at 888-296-0611 or contact your local gallery.